What does ICO mean? 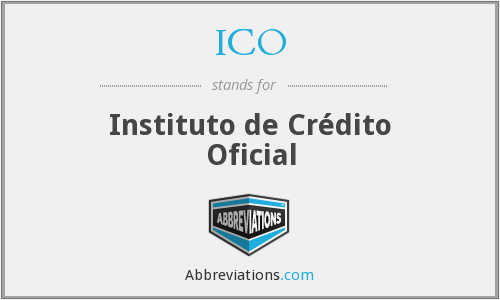 This page is about the various possible meanings of the acronym, abbreviation, shorthand or slang term: ICO. Ico is a puzzle-platformer and action-adventure game developed by Team Ico and published by Sony Computer Entertainment, released for the PlayStation 2 video game console in 2001 and 2002 across various regions. It was designed and directed by Fumito Ueda, who wanted to create a minimalist game around a "boy meets girl" concept. Originally planned for the PlayStation, Ico took approximately four years to develop. The team employed a "subtracting design" approach to reduce elements of gameplay that interfered with the game's setting and story in order to create a high level of immersion. The protagonist is a young boy named Ico who was born with horns, which his village considers a bad omen. Warriors lock him away in an abandoned fortress. During his explorations of the fortress, Ico encounters Yorda, the daughter of the castle's Queen. The Queen plans to use Yorda's body to extend her own lifespan. Learning this, Ico seeks to escape the castle with Yorda, keeping her safe from the shadow-like creatures that attempt to draw her back. Throughout the game, the player controls Ico as he explores the castle, solves puzzles and assists Yorda across obstacles. Couldn't find the full form or full meaning of ICO? Know what is ICO? Got another good explanation for ICO? Don't keep it to yourself! "ICO." Abbreviations.com. STANDS4 LLC, 2019. Web. 20 Apr. 2019. <https://www.abbreviations.com/ICO>.